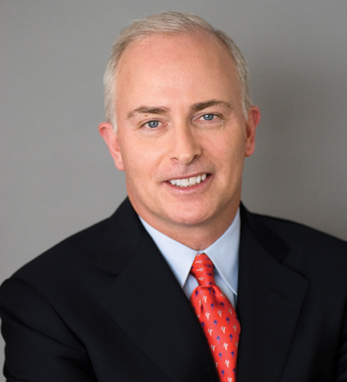 Bob McCann is the chief executive officer of UBS Wealth Management Americas (WMA) and a member of the Group Executive Board of UBS AG. Prior to joining UBS, Bob had a 26-year career at Merrill Lynch, where he served in a variety of leadership positions including vice chairman of Merrill Lynch & Co. and president of Global Wealth Management, head of Global Securities Research and Economics, and chief operating officer of Global Markets and Investment Banking. Bob has been a leader in several charitable organizations. He currently serves on the Executive Committee of the Board of Directors of The American Ireland Fund, vice chairman of the Board of Trustees of Bethany College and chair of the College’s Investment Committee. He is also a member of the President’s Circle of No Greater Sacrifice. A third-generation Irish American with roots in County Armagh, Bob received his B.A. in Economics from Bethany College and a M.B.A. from Texas Christian University. A dual citizen of the U.S. and Ireland, he is married to Cynthia with two daughters, Meredith who lives in Dublin, and Madeline, a sophomore at Bucknell University.